When Kua’Aina opened, a mere stones throw from my old office, I wasn’t interested at all. Hawaiian burger joint? Sounded like a gimmick to me, and I’m precious about my burgers. It turns out that I’d made a bit of presumption. 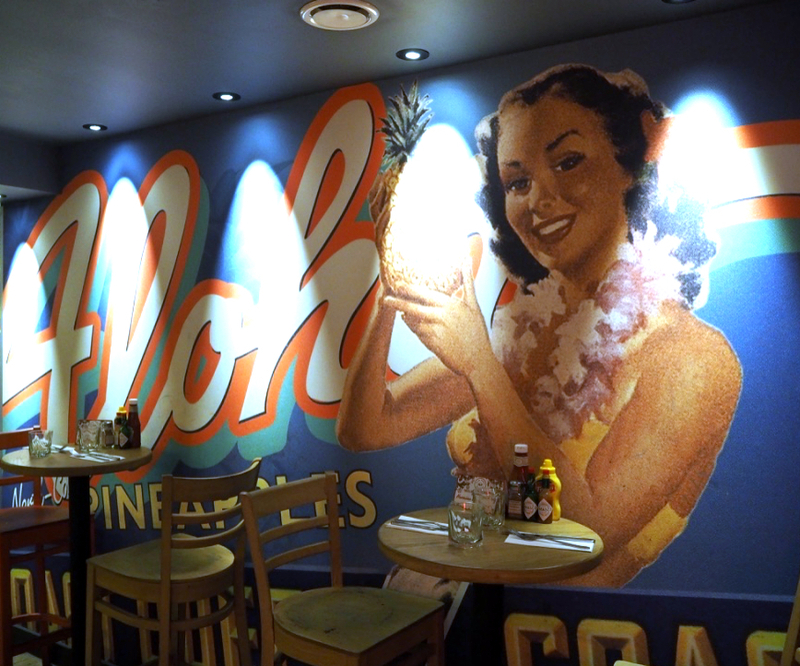 Kua’Aina started off as a burger and sandwich shack in Hawaii, attracting global attention, including that of two London based guys who loved it so much they brought it over to our fair shores. Burgers may be at their core (and bloody delicious they are too), but the menu shows so much more than that. 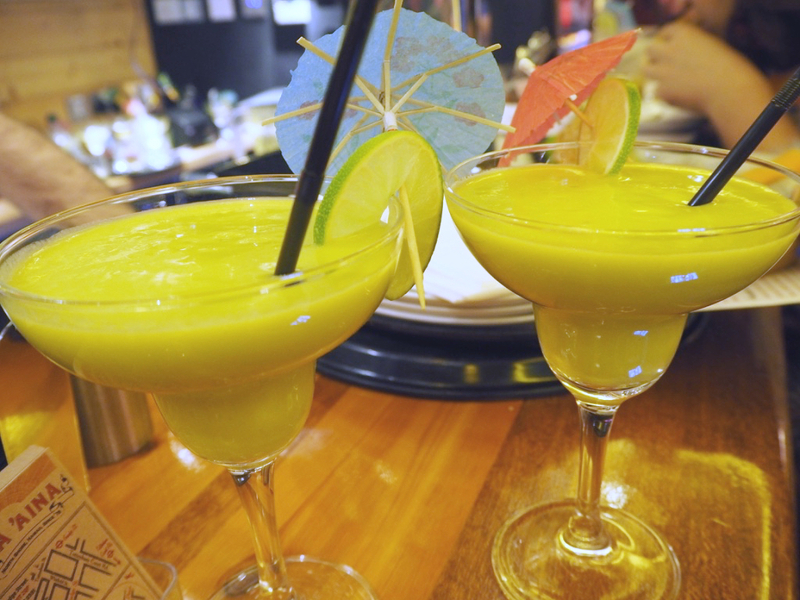 We dived right in to some mango daiquiris and then propped up the bar to try a few more tipples. So, I’ll be honest. I bloody hate avocado (cue waves of ‘ERMAGAHD, BUT IT’S AMAZING). It’s not amazing. It tastes like slime and the only thing I’d want to have it ‘smashed’ on is the compost heap. 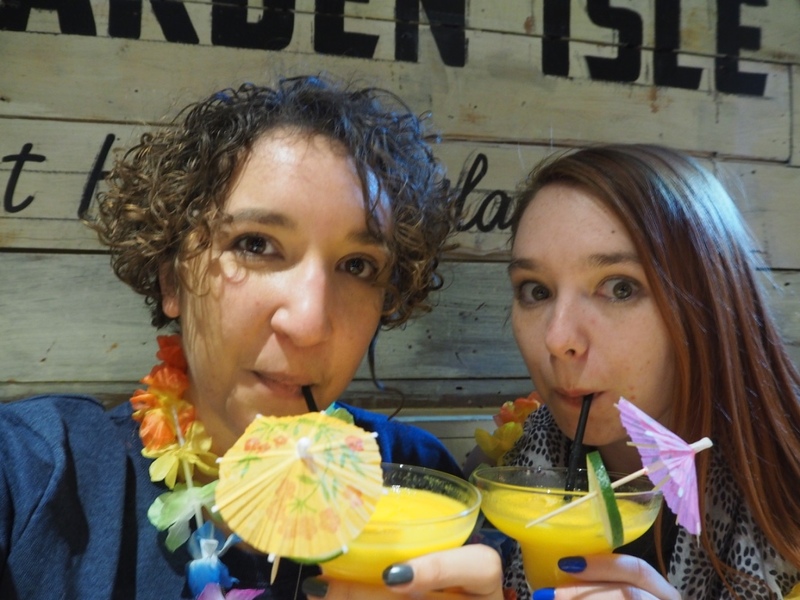 With that in mind, it was with huge trepidation that I tried the Avocado Wave cocktail, made up of silver rum, avocado, mango, orange and lime. It was even bigger surprise that I actually like it! The avocado just gave a creamy texture, but the taste was much more citrus-y thanks to the other ingredients. 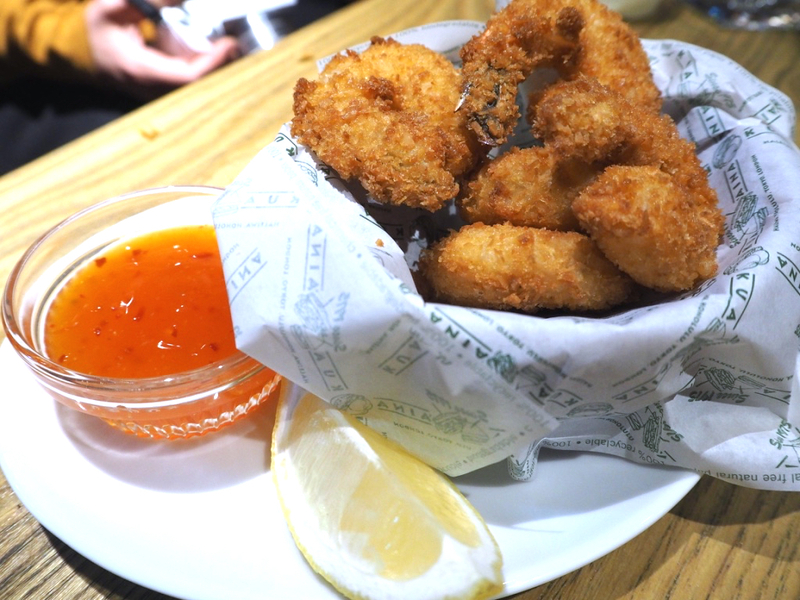 We were lucky enough to try and number of deep-fried somethings, all coated in freshly made coconut breadcrumbs, including massive prawns, the thickest calamari I’ve ever tried and mahi mahi. I’ve never tried the latter before; but it was thick and firm yet easily flaked under my fork and is a great example of what white fish can taste like when, as British people, we’re all used to bog-standard battered cod. 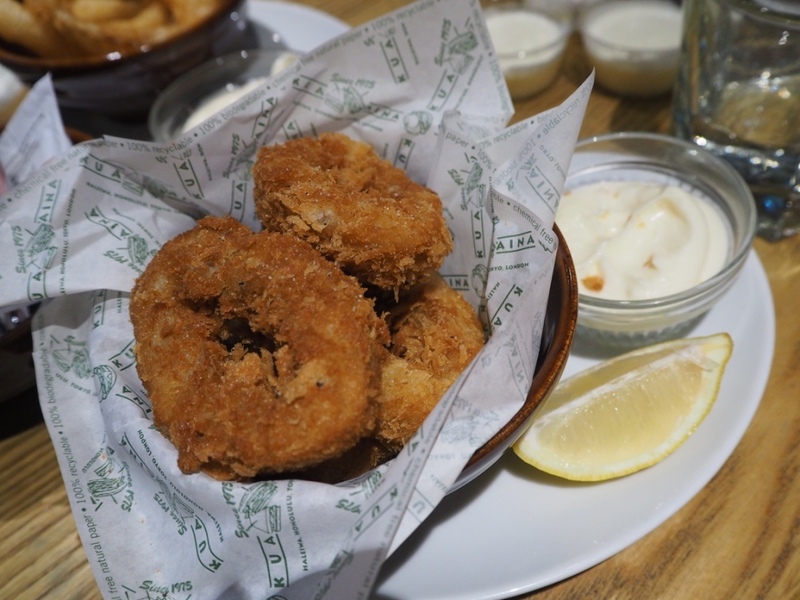 The onion rings were, without a doubt, the best I’ve ever had. 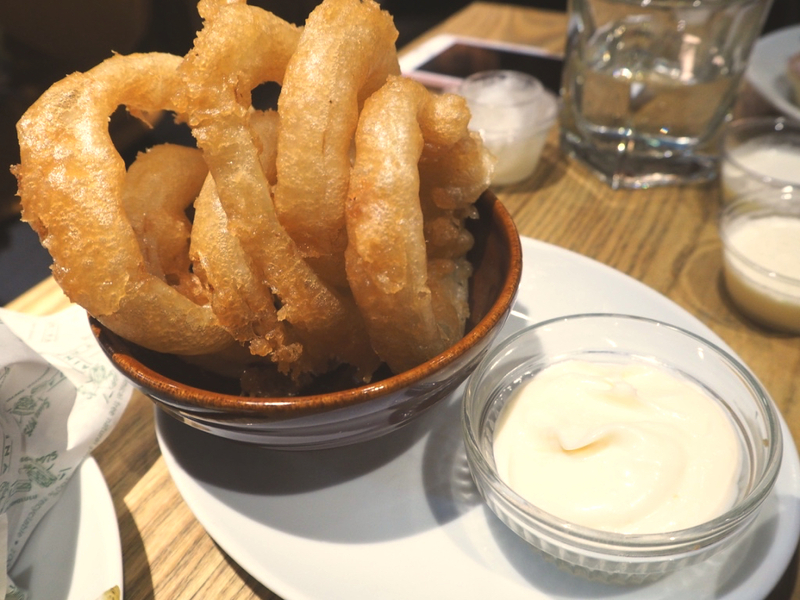 Absolutely huge, long crunchy yet chewy strips of onion, and not greasy at all. 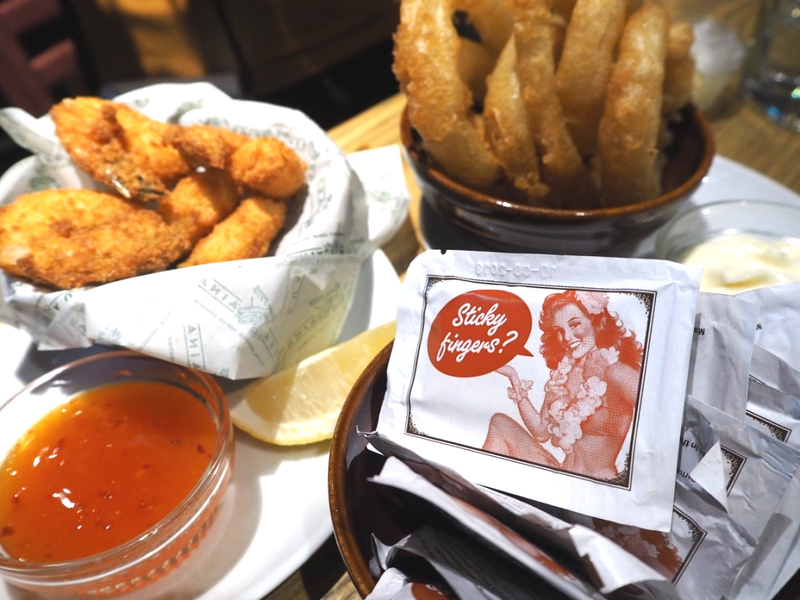 The garlic mayo is hands down one of the best dips I’ve ever had. 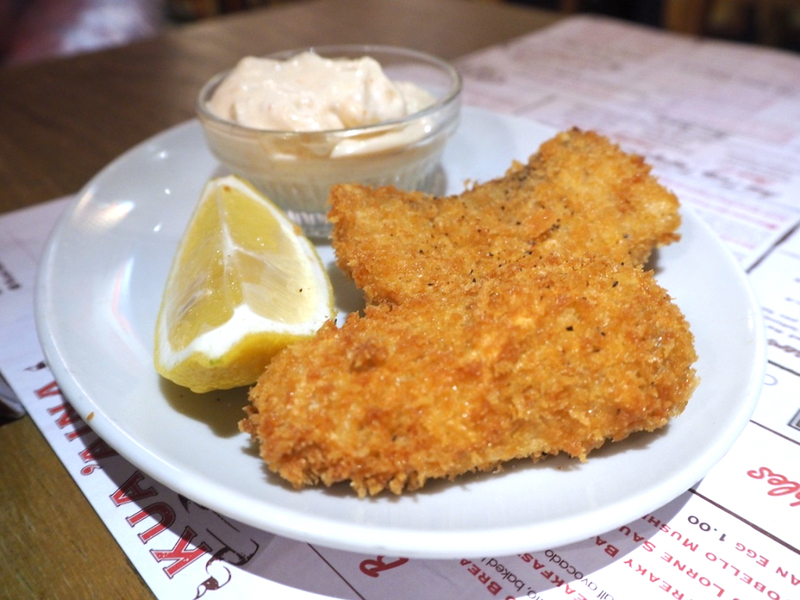 As the chef himself said, if you order garlic mayonnaise it should taste of bloody garlic! Kua’Aina, it turns out, also do brunch. Despite being full-to-bursting with all the goodies we’d already consumed, I couldn’t turn down the gorgeous looking plate of pancakes put in front of us. 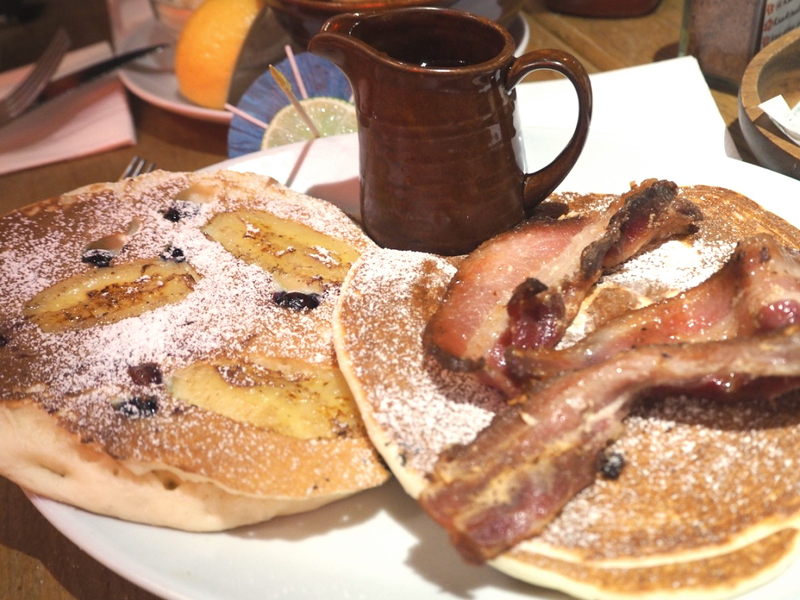 Made in the fluffy American style, there was the expected bacon topping but then came the banana and blueberry one. The fruit was on top but actually IN the pancakes and my god, it was beautiful. I loaded up on maple syrup and settled in to induce myself into a food coma. The Breakfast Club ain’t got nothing on these bad boys. Kua’Aina is a Hawaiian concept, but not a Hawaiian restaurant. 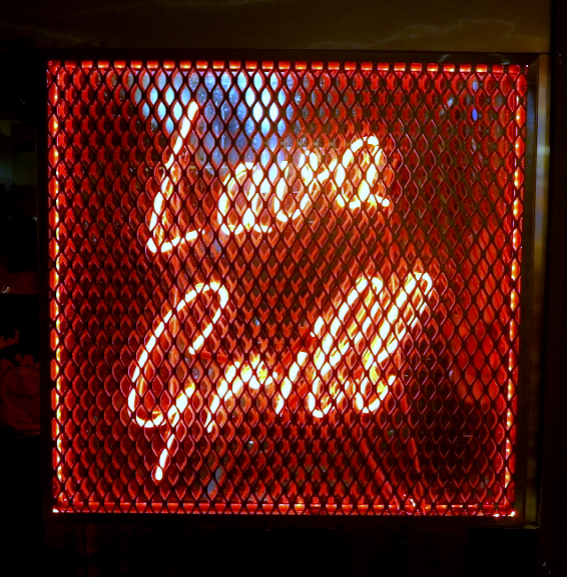 Their lava rock grill ensures that everything is cooked in the way it would be back on the Aloha State, and yes, if you wear a Hawaiian shirt in there you get rewarded with a free drink, but really they’re just about good food. The head chef is passionate about quality ingredients and staying away from anything too gimmicky and that really comes across when you eat the food. 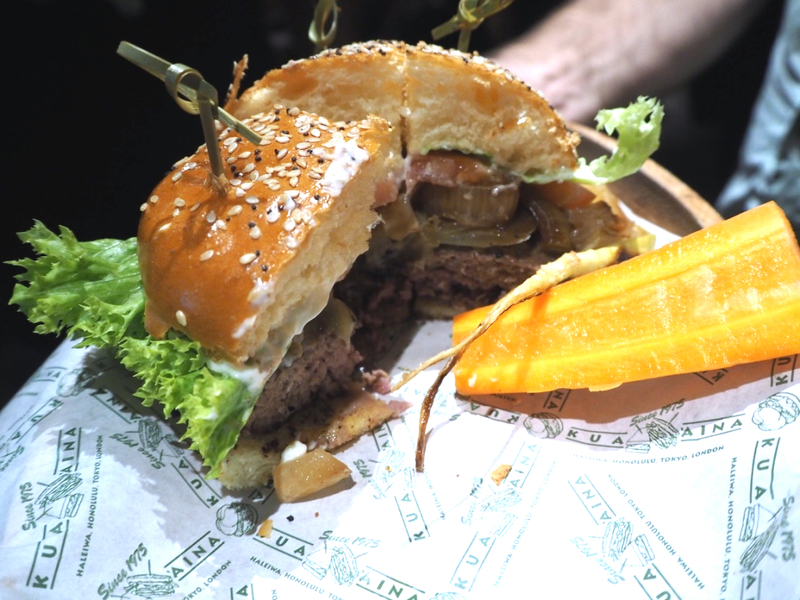 Sure, go for the burgers, but don’t be afraid to go off piste here. I was invited to review Kua’Aina and my meal was paid for. All opinions are very much my own and if it wasn’t delicious, I wouldn’t have written about it.